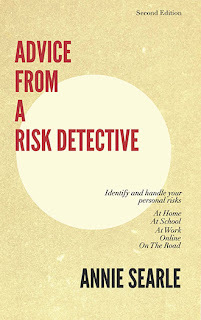 The second chapter of Advice From A Risk Detective deals with workplace violence and discusses signs that employees may need help. Here's also a good workplace violence article from the Pittsburgh Post-Gazette . If you're willing to spend time and energy, then the New York TImes today has a number of its media critics discussing violence in the workplace and elsewere. One thing is clear: it is no laughing matter.